So the third season of Voltron: Legendary Defender surprised me for a number of reasons. First, it came along rather quickly after the conclusion of the second season. And then you have the more glaring change of the season consisting of only 7 episodes versus how the prior seasons had 3 episodes. Despite generally positive sentiment about the show in the public at large, was Netflix's appreciation for the show dwindling? An while they have confirmed the show for another season, they haven't discussed how long it's going to be so there's a bit of uncertainty out there. But let's see how things proceed from here. Synopsis: Voltron: Legendary Defender is an animated television series produced by DreamWorks Animation and World Events Productions. The show is released through Netflix and has expanded to other media including comic books and of course toys. The second season ended with the Voltron Force's successful execution of their big plan to neutralize the threat of Zarkon (Neil Kaplan) with the help of other alien races they had helped over the years. But in the final confrontation that they had somehow lost Shiro (Josh Keaton) in the fight as he was no longer inside the Black Lion. Thus the season begins with the Paladins still helping out aliens in need from the disorganized Galra fleets but also trying to figure out their path forward and whether or not it's time to replace Shiro's role as leader of the Paladins and Voltron. At the same time, we have Prince Lotor (A.J. Locascio) get involved in Galra activities upon the summoning of the Witch Haggar (Cree Summer). He and his rather elite Generals quickly take the reins of command over Galra forces and start to study the Voltron team. Lotor immediately shows his cunning and feel for tactics as he engages in early sorties to test the Paladins. What I Liked: This is the season where they really played their fan service cards along with the big nostalgia cards for the original show. Beyond the need reshuffle the Paladins into different lions (thus making them more in line with the original line-up), we also have some clever episodes that play well with the show's narrative structure. And they can certainly tell a good story. And as much as I enjoyed the fan service in the episode "Hole in the Sky", the big season-ender "The Legend Begins" was such a surprise of a direction for the show. Instead of some big cliffhanger leading into the next season, we had an EPIC flashback that did wonders for fleshing out the back story of the show as a whole and setup some potentially interesting plots for the future. What Could Be Better: It goes without saying that the decision to cut this season in half was really annoying. Sure this can lead to tighter storytelling over fewer episodes in most cases but this change feels counter-intuitive for a show geared towards younger audiences. Or does this represent Netflix abandoning younger audiences and focusing on their more adult fans who have jumped on the nostalgia train? And then there is Lotor and his Generals. Don't get me wrong - I am loving this Lotor and he is all the more devilish and even craftier than his original incarnation. However his generals were featured as some big deal and yet it's not clear what their distinct abilities or specialties are or why they are his favored elite. I know it's hard to tell character stories in just 7 episodes, but still. They deserve more screen time! We need to better appreciate their awesomeness. 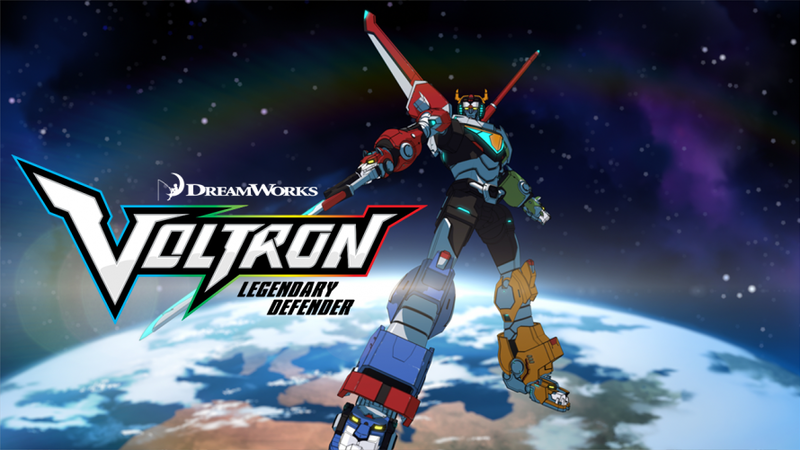 TL;DR: Voltron: Legendary Defender has pushed into exciting new ground in this season to the benefit of the show. But at the same time the brevity of the series has severely limited things and hurt the show more than it helped it, I feel. Thus I can only rate this awesome third season as just 4 Paladins struggling to do their best to fight without Voltron out of a possible 5.